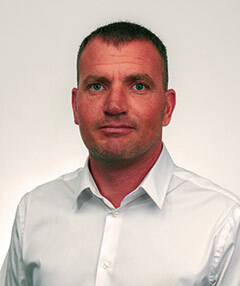 Shahar Kravitz has over 20 years’ experience in both technological innovation and business strategy. His professional career began at Aeronautics Ltd, at the time a defense start-up, where he served in multiple roles including VP Operations and Deputy CEO, and played a key role in the company’s rapid growth. In 2005, Shahar was appointed CEO of Aeronautics’ data link subsidiary, Commtact. Under his management, Commtact became a major global player in communications for defense applications, and initiated the development of a mobile satellite solution, with voice, data and video transmission on the move. Having identified the urgent need for affordable low-bit-rate communication in remote areas of the world, in 2015 Shahar co-founded hiSky and set to work developing a revolutionary satellite terminal and network that leverages the cost and performance benefits of HTS satellites. Q: What is the hiSky mission? A: Our mission is to develop remote communications that connect people and devices, wherever in the world they may be, at down to earth prices. We know that telecommunications, as a means of sharing information, are critical to a country’s social and economic development and asset management. Yet even today, there are vast areas of the globe that are unserved, or under-served, by effective telecommunications systems. hiSky seeks to address this challenge by innovating in the field of voice & data satellite communications, making prices affordable, and giving people the freedom to communicate or manage their assets via satellite – anytime, from anywhere. In pursuit of this mission, we are constantly both investing in cutting-edge technology and adapting it to the needs of the market, because we believe these two crucial elements of product development must always be aligned. Q: How is hiSky’s offering different to that of other satellite communications service providers? A: In a word: Smartellite. Mobile Satellite Services have been available since the 1990s, providing some level of communications coverage, even in remote areas. But with calls costing between $1 and $5 a minute, and texts costing between 50c to $2, this traditional technology is only used if absolutely necessary or in dire emergencies. At hiSky, we believe that if the technology to connect people or devices in the most remote corners of the world already exists, then it should be available to everyone. That’s where the Smartellite comes into the picture, allowing us to offer 1KB of connectivity for mere cents, as opposed to the rates offered by our competitors. The Smartellite is a small, portable device that makes reliable satellite calls and data available, quickly and easily, even on the move, and it does so at a cost that means people don't have to think twice before making a call or sending a text. Q: How does the Smartellite work? 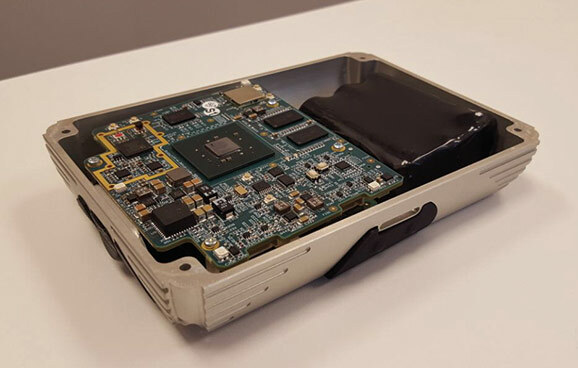 A: Our patented Smartellite solution is a portable, lightweight box packed with the most advanced technology, enabling it to leverage High Throughput Satellites in the Ka-band, to achieve greater spectrum availability. Its built-in, electronically steered, phased array antennas automatically locate the satellite, creating a satellite hotspot in a matter of milliseconds and communicating with any device via Wi-Fi or a cable connection. Fast, smooth transition between satellites in the geosphere ensures that constant voice & data connectivity is maintained, even on the move. In short, the Smartellite operates as a satellite hotspot that transfers data to and from every device connected to it. Q: Where does the money saving come in? A: Leveraging High Throughput Satellites (HTS) located on a geostationary orbit (GEO) above the equator, we can provide phone calls and text messages for mere pennies. The HTS/GEO satellites were initially launched into space to address the huge demand for TV broadcast and internet access. The idea of using HTS satellites for voice is somewhat novel – most satellite phone calls are currently made using low earth orbit (LEO) satellite networks, which have much lower capacity than HTS. Although LEO satellites have been in the skies for decades, they have remained out of reach for all except those who work for organizations with deep pockets (government, oil companies, senior management, etc.) and have no other communications options. Using HTS allows us to achieve global coverage with far fewer satellites: just 4 or 5 HTS/GEOs provide the coverage of 70 LEOs, a saving that we are happy to pass on to our customers. Q: What contribution is hiSky making to IoT and M2M? A: Our core technology lends itself to a range of IoT and M2M applications, and indeed it is part of our mission to become an international provider of solutions such as network connectivity, devices, device management and web reporting applications. We are already working on a comprehensive solution that is cheap, reliable, simple to use, and with an assessable interface to all kinds of sensors. It will enable customers working in a range of industries to track, monitor and control their assets, such as trailers, sea containers, rail locomotives & carts, generators, oil and gas wells, irrigation control systems and utility meters. This technology will position us to become the preferred channel for data transfer, potentially facilitating more frequent transmissions, and enabling more accurate and effective monitoring of remote assets. 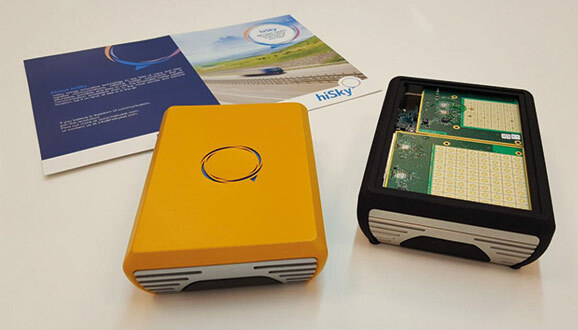 In the short and long term, hiSky is putting more and more focus on the IoT market, in the firm belief that it will demonstrate high growth rates and interest in the coming years. Q: Where are you at today, and where do you envisage the company being in 12 months and 5 years from now? A: We are currently teaming up with automotive manufacturers in a pilot program that offers customers uninterrupted connectivity worldwide, for a fraction of the price of other satellite solutions currently on the market. We are also working on strategic alliances with satellite operators, distributers and other prominent players in the market. In the coming 12 months, we will continue to research, develop and carry out global beta testing of our solution, in preparation for mass production of the Smartellite, beginning 2019. In parallel, our strategic and business development team will continue to explore and understand the market needs, working in close collaboration with our R&D team so that our technology meets the changing needs of the market. In five years’ time, hiSky will be a global operating services provider, focused on future solutions and new developments, such as a multi-beam antenna to enable multi-layered satellites to communicate simultaneously. We also plan to become a prominent provider of voice, IoT and M2M solutions.